FOOTBALL: The ethics watchdog of scandal-tainted FIFA was locked in talks yesterday (Oct 7) to decide the fate of world football president Sepp Blatter as attacks on the veteran sports baron mounted. The ethics committee tribunal was also to decide whether to take action against UEFA leader Michael Platini and former FIFA vice president Chung Mong-Joon, both candidates to take over from Blatter. As the drama intensified, British media reported that the ethics committee had recommended a provisional suspension of 90 days for Mr Blatter. 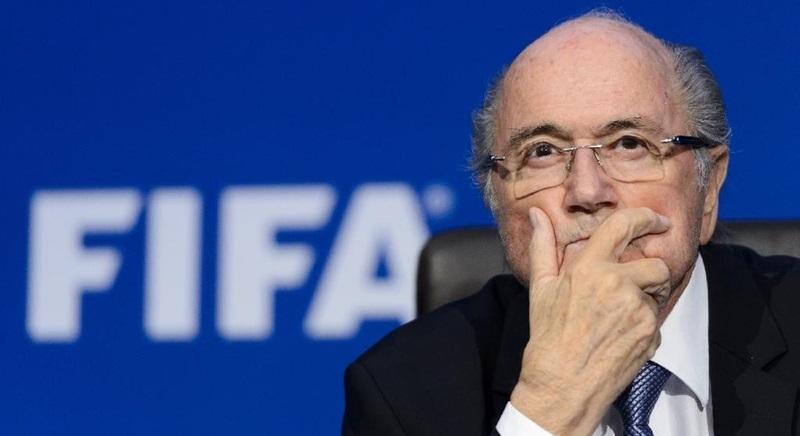 But Blatter’s lawyers said that their client had not been informed of any such action. “President Blatter has not been notified of any action taken by the FIFA Ethics Committee,” a joint statement issued by his lawyers said, adding that Mr Blatter had also not been asked to speak before the disciplinary panel. “We would expect that the Ethics Committee would want to hear from the President and his counsel, and conduct a thorough review of the evidence, before making any recommendation to take disciplinary action,” the statement from Swiss lawyer Lorenz Erni and New York-based attorney Richard Cullen added. Meanwhile, Mr Chung hit out at Blatter, calling him “a hypocrite and a liar” and threatening a legal case for embezzlement of FIFA funds. The 79-year-old Mr Blatter, who has ruled FIFA for 17 years, insisted in a German magazine interview that he would not be forced out of office before an election to be held in February. FIFA has kept the activities of its independent ethics committee cloaked in secrecy in recent months as accusations of corruption have mounted. But a Senegalese member of the committee’s adjudicatory chamber, FIFA’s highest court, said it started a five-day meeting on Monday (Oct 5), with Mr Blatter and the other two officials on the agenda. FIFA officials refused to comment on the disclosure. But the world body, fighting off multiple corruption accusations, has been forced to consider suspending its president since Swiss authorities opened an investigation for “criminal mismanagement” against Mr Blatter. Mr Platini has also been implicated in the investigation because of a two million dollar payment made to the French football legend in 2011. FIFA’s secretary general Jerome Valcke was suspended last month following press allegations that linked him to the sale of World Cup tickets at inflated prices. Mr Blatter won a fifth term of office on May 29, despite a major storm over a US inquiry into the football business. But four days later he announced he would stand down when a new election is held on February 26. Despite the new allegations, Mr Blatter said he will carry on until the election. “I will fight until February 26. For me. And for FIFA,” he told Bunte, a German magazine. Mr Platini had been favourite to win the election until the Swiss investigation named him. His entourage said that he did not appear before the FIFA commission this week and that he feels he has done nothing wrong. “The president feels that he has given satisfactory explanations to the authorities that are dealing with this case,” Mr Platini's spokesman, Pedro Pinto, told reporters in London. Mr Platini, Mr Chung and Prince Ali bin al-Hussein, a former FIFA vice president from Jordan, are the main candidates for the election so far. Mr Chung is under investigation because of his lobbying for South Korea’s bid for the 2022 World Cup, which Qatar controversially won. The South Korean tycoon says FIFA has cleared him of the charges once in 2012 and that the new charges are part of a campaign by Mr Blatter to block his bid for the presidency. Mr Chung returned to the attack yesterday at the Leaders Sport Business convention in London, saying Swiss lawyers could launch a $100 million “embezzlement” case against Mr Blatter. Mr Chung, a FIFA vice president for 17 years until 2011, condemned what he called Blatter’s “secretive” ways in not declaring his salary and taking payments without permission. Mr Chung said the FIFA ethics committee has sought a 15 year ban against him. He called it a “smear campaign” by Mr Blatter. Late yesterday, the Doha-based International Centre for Sport Security (ICSS) said that claims of a suspension for Mr Blatter was “a defining moment”. “Football, not just FIFA stands on the precipice of disaster,” said Chris Eaton, the ICSS executive director.